Bridal Entrance: It’s funny, but almost any piece of music will work for the bridal entrance as it all comes down to the day itself – the strangest choice in the world just seems to be perfect on the day! That said, I think that Gabriel’s Oboe (Nella Fantasia) is really gorgeous. And what I often suggest to clients is that I play the piece on tin whistle for the bridal procession of flower girls and bridesmaids, switching then to the pipes for the bride herself. This makes for a lovely bit of understated drama as people anticipate the arrival of the bride, and then the switch to the pipes lets them feel that the big moment has arrived! Lighting the Candles: A short happy piece is lovely here for both candle ceremonies. I often suggest Sí Bheag Sí Mhór on low whistle for the individual candles. You can then use the same piece after the marriage vows but this time on the flute. The flute has the same basic tone as the low whistle but with a lot more power – perfectly congratulatory…!!! Signing the Register: A mix of background music is best here I find. People have been well behaved for so long and they need to let off steam. Better not to expect quiet attention at this point! Ceremony Exit: Again, something celebratory is perfect here. My two favourites are Carolan’s Concerto and Haste to the Wedding. Lighting of the candles is literally 30 seconds and sometimes rolls into your first song so don’t get bogged down on this. Something like Nella Fantasia works well or else an instrumental continuation of your first song. Some popular songs lately for bridal entrance have been: How Long Will I Love You, A Thousand Years and I Wanna Grow Old With You. Canon in D is always a popular and traditional one. I recommend to have an instrumental for the candle lighting as it’s so quick here and I feel sounds nicer. For signing of the register, The Voyage, Song Bird, Somewhere Over the Rainbow are beautiful. If you’re in a church, you can sing modern songs here. I always say think lively for ceremony exit – People are clapping and cheering. Pick something fun such as Signed, Sealed, Delivered., It Must Be Love, Greatest Day, You’ve Got the Love, Happy Days etc. Ceremony Exit: Signed, Sealed, Delivered by Stevie Wonder, Happy by Pharrell Williams. Ceremony Exit: Flowers in the Window by Travis, You’re My Best Friend by Queen (The ONCE version). 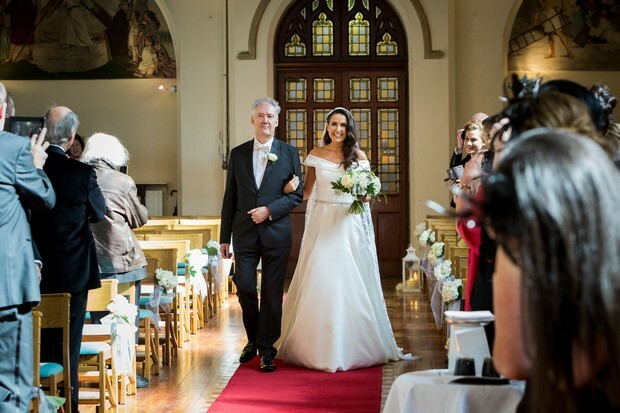 Recessional: One Day Like This by Elbow, or Traditional Irish – O’Carolan’s Concerto or a good set of Reels or Jigs. Bridal Entrance: Traditional: Canon in D by Pachelbel, Bridal Chorus (Wagner), Trumpet Voluntary (Clarke). Modern: A Thousand Years by Christina Perri. Lighting the Candles: Air on a G String (Bach), Gabriel’s Oboe (Morricone), She Moved Through the Fair. Signing the Register: Songs associated with love and happiness are played here such as All You Need is Love by The Beatles, Portuguese Love Theme from Love Actually. Ceremony Exit: Traditional: Wedding March (Mendelssohn). Modern: Here comes the Sun by The Beatles and I’m Yours by Jason Mraz. Ideally the songs that I would recommend for the different parts of the wedding ceremony are the songs that mean the most to the couple that are getting married. I am always available to help you choose something special. For a Bridal Entrance, lovely choices include She Moves Through The Fair, From This Moment On, Songbird and Ave Maria. There are also some beautiful instrumental pieces. For the Lighting of the Candles, here are a few suggestions: How Long Will I Love You?, Make Us One, Make Me A Channel Of Your Peace and Only A Shadow. It is a short part of the ceremony and often an instrumental can suit better. For the Signing Of the Register there are many very suitable choices. Here are some songs to consider: Amazing Grace, A Thousand Years, This I Promise You, The Voyage, May It Be, You Are Mine and Fields Of Gold. For the Ceremony Exit, here are a few song options: At Last gets a great reaction. Other songs that are good for the recessional are These Are The Days, Bless The Broken Road, I Choose You, Feels Like Home, The Wind Beneath My Wings, Ave Maria, Beautiful Day and Greatest Day. I always encourage couples to choose music that will reflect them as a couple. I have a large repertoire of music and songs to choose from. Of course, I have some favourites. For Bridal Entrance, I love The Book of Love, A Thousand Years, How Long Will I Love You and the song I walked up the aisle to myself, Songbird. Signing of the Register, again it should reflect the couple and their own personality. I recently had a Metallica mad groom so we included Nothing Else Matters. If you love a traditional Irish feel, perhaps Bright Blue Rose, She Moved Through the Fair and an instrumental version of Erin Shore. I had a bride recently who’s Father loved Elvis Presley so we included Love Me Tender and Can’t Help Falling in Love at the register signing. For leaving the ceremony, I always suggest something fun and up tempo. 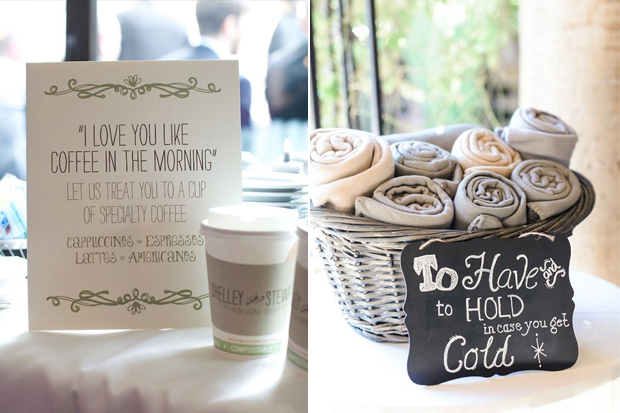 Your guests are cheering wildly as you walk down the aisle and the song should reflect this. It sets the tone for the afternoon ahead. Some of my favourites are: Ho Hey by The Lumineers, Higher and Higher by Jackie Wilson, Best Day of Our Lives by American Authors, All You Need is Love by The Beatles, You’ve Got the Love by Florence & The Machine. Ceremony Exit: Elbow – One Day Like This or Stevie Wonder – Signed Sealed, Delivered. Exit: I would recommend something upbeat such as For Once in My Life by Stevie Wonder and Signed, Sealed, Delivered by Stevie Wonder and I’m Yours by Jason Mraz. For the bridal entrance, I’m loving Turning Page by Sleeping at Last (The Twilight Series wedding song). I recently sang it for a wedding and I enjoyed learning it so much. Other songs I would recommend would be Ellie Goulding’s version of How Long Will I Love You?, Christina Perri’s A Thousand Years never fails to make the hairs stand on the back of your neck! Of course, depending on what the couple want, you could have something a bit more quirky like In My Life by The Beatles. Cat Power’s version of The Sea Of Love is one I’m asked for a lot also. For the lighting of the candles, I generally advise to keep it instrumental as short pieces are best for the individual and unity candles. She Moves Through the Fair can be lovely here. I love that I’m always being asked to learn new pieces for weddings so while many of you (like me!) may not have heard of this, it’s definitely worth checking out Sugar Cane by Ana Olgica. Absolutely beautiful piece of music, can work really nicely for exchanging of vows in secular ceremonies also. Signing of the Register: I recorded a version of Ingrid Michaelson’s I Can’t Help Falling In Love With You and I have been asked to sing it so many times. I never tire of it. Bright Eyes First Day Of My Life is one I love doing also. James Vincent McMorrow’s Higher Love can be great here too. For the ceremony exit I usually recommend a lively, upbeat song which is what the couple usually want also. Bill Withers Lovely Day, Florence and the Machine You’ve Got The Love, Stevie Wonder Signed, Sealed,Delivered, Here Comes The Sun or All You Need Is Love by the Beatles and for an unusual one Be My Baby by The Ronettes. I always recommend a simple piece for the entrance as a bride will feel less pressure to have to walk a ‘certain pace’ to keep time with the music or if she speeds up it’s not a problem, the most popular I’ve done is Pachelbel’s Canon in D, my favourite to play would be The Secret Wedding from Braveheart. For lighting of the candles, I love the synchronicity of using a simple piece to tie both the lighting of the individual candles then the marriage candles together, like using an instrumental version of She Moved Through the Fair for the first and singing it for the second. This has been a popular idea among my previous couples. The Signing of the Register, I believe should be a sentimental piece to the couple, the last I played was Nothing Else Matters by Metallica. The Exit, I always recommend using a song that was a runner up for the couple’s first dance! It obviously means something to them and can set the tone for the party! Songs that I can suggest for your Entrance are: A Thousand Years, How Long Will I Love You, From this Moment, In a Country Churchyard, She Moved Through the Fair, Marry Me, All of Me, First Time Ever I Saw Your Face. Beautiful instrumentals are Canon in D, Nella Fantasia or the Bridal Chorus. These can also continue to play if you are lighting your candles before you sit down. If not, songs that I can suggest are: One Hand, One Heart from West Side Story, Christ Be Our Light (hymn), Gabriel’s Oboe, Air on a G String, Canon in D. Please bear in mind this only needs a short 20 – 30 second piece of music. Signing of the register: Clouds Veil, For Once in My Life, Feels Like Home, Come Away With Me, The Rose, All I Want is You, We’ve Only Just Begun, Still the One, Time after Time, You Light Up My Life, More than Words, Falling Slowly, The Dance, Say a Little Prayer, Songbird, Fields of Gold. Recessional: Love is All Around Us, Perfect Day, Walking on Sunshine, One Day Like This, Crazy Love, At Last, I Won’t Give Up on Us, Rule the World, Ain’t No Mountain High Enough, Next to Me, Higher Love, Feeling Good, Amazed. I recommend slow and elegant music for walking up the aisle. I can perform instrumental or vocal. My recommended instrument would be the harp but I can also play piano or flute. I regularly perform Pachelbel’s Canon In D on harp or Game Of Thrones Theme Tune (Classical), 1000 years or Perfect by Ed Sheerin and either can sound beautiful as harp instrumentals or can be sung. Nella Fantasia, Sally Gardens are other popular choices. The music during the ceremony should be meaningful and personal while suitable for the type of ceremony. If a song is deemed unsuitable, it can easily be performed as a harp or piano instrumental. The recessional music should be happy and upbeat to represent the moment. For the Bridal Entrance, normally a slow song, something meaningful to the couple is chosen, it doesn’t need to be something religious, a song that will set the tone for your special day. Popular choices are At Last by Etta James/Beyonce, Thinking Out Loud by Ed Sheeran, The One by Kodaline. Typically, music during the Lighting of the Candles is Instrumental as this is usually about 30 seconds in duration, alternatively a chorus from your favourite song can be sung, whether slow such as What The World Needs Now Is Love or upbeat like This Little Light Of Mine. Music for the Signing of the Register can also be secular as the Mass has ended. Something slow and meaningful such as Make You Feel My Love or upbeat and celebratory such as Signed, Sealed, Delivered goes down a treat. Recessional – It’s party time! Let’s celebrate! You’ve just tied the knot, married your true love and are ready to celebrate with your loved ones, something upbeat and fun is most appropriate! Oh Happy Day, You’ve Got The Love, The Greatest Day are all popular choices. Popular Bridal Entrance choices at the moment are anything and everything from the classical Canon in D, A Thousand Years by Christina Perri or even something very different such as the Game of Thrones Theme Tune which one bride wanted as a surprise for her hubby-to-be! Popular Bridal processional pieces that I have tried and tested after nearly 20 years of performing for weddings are Nella Fantasia – Ferrau/Morracone, How Long Will I love You – Ellie Goulding and A Thousand Years – Christina Perri. Lighting of the Candles: I Giorni – Einaudi, The Secret Garden – Horner (Braveheart), Feather Theme – Silvestri (Forest Gump). Bridal Recessional: Here Comes the Sun – Beatles, Take My Hand – Picture This or Il Mondo e Nostro AKA Rule the World by Take That sung in Italian with a classical twist. Its hard to recommend certain songs as a wedding ceremony is so personal to each couple but here is this year’s top 5 in each category. Entrance: A Thousand Years, This I Promise You, Canon in D, How Long Will I Love You and Songbird. Lighting of the Candles: Lake Isle of Inisfree, The Rose, Ave Maria, Groovy Kind of Love (always instrumental music used here). Signing of the Register: Feels like Home, Raglan Road, I Get to Love You, With or Without You, Caledonia. Ceremony Exit: Ain’t Nobody, Signed Sealed Delivered, From this Moment, You Got the Love, Higher & Higher.